Open this card and a gift “pops” out at you!! The inside of this card was made using our Simple Pop-Out Die Set. 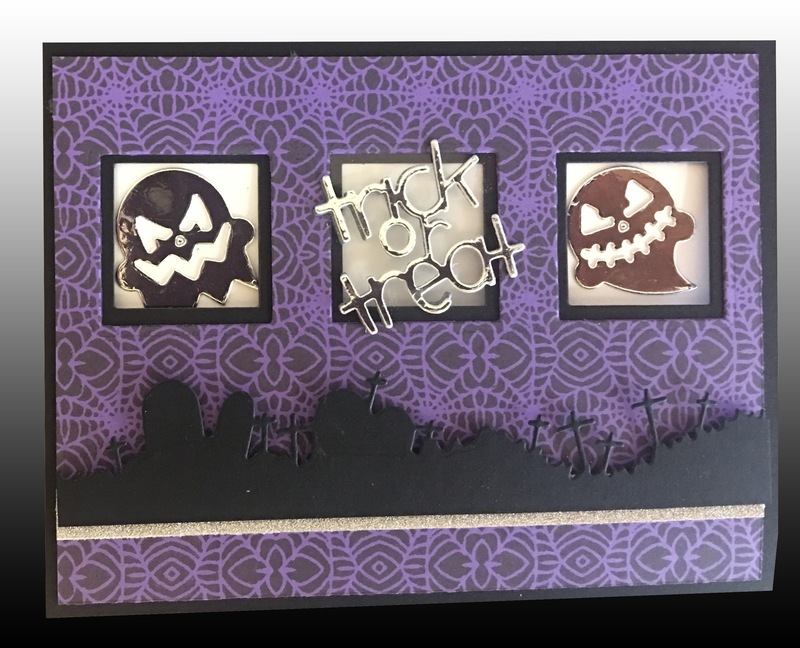 This set contains 3 Dies that can be used individually to make a “pop-out” on the inside of the card. On a simple pop-out, you can attach an object to coordinate with the outside of your card. For example on a birthday card, you could attach a cupcake to the pop-out so it pops outs and gives dimension to the inside of your card. The various size Dies allows you to pop your object out at various depths. Use all 3 Dies to create the stacked gift. I️ ran each Die they separately so I️ could place them close together … there is approximately 3/8th inch in between each gift section. I️ will be doing a video tutorial and will post the link here when I’m done. Basically, you have a Scored Card (I used an A-2 Card) for you card base or the front of the card. Then you use a second Scored Card and trim it slightly smaller than your card base (if desired), enabling you to see a slight border of your card base color. On my sample, I️ started with a Wild Cherry Scored Card and used a White Scored Card for the inside….stamped with the Impression Obsession Ticking Stamp using a Lime Pastel Ink Pad. On each Die, there are “notches” in the center … line up those notches with the score of the White card. Hold in place with a piece of removable tape (or washi tape, or a post it) and run thru your die cutting machine. Start with the biggest die approximately 3/8 inch from the bottom, running each Die separately. Then run the next size Die, placing it about an 1/8 inch above the first one, etc. Carefully fold, so the “pop-outs” are to the inside of the card … Valley, mountain, valley Fold. Do this individually for each section. This card was made using our Magic Card Kit. The main image is shown in black and white when the card is closed, but pull on the tab and it’s magic… and the image is colored!!! This is one of our new Pumpkin Swinging Z Fold Card is Basis Dark Orange. The cards come pre- cut OR we have the Card Making Die so you can cut your own. My theory… use the pre-cut card and put your time, energy and creativity into decorating it!! 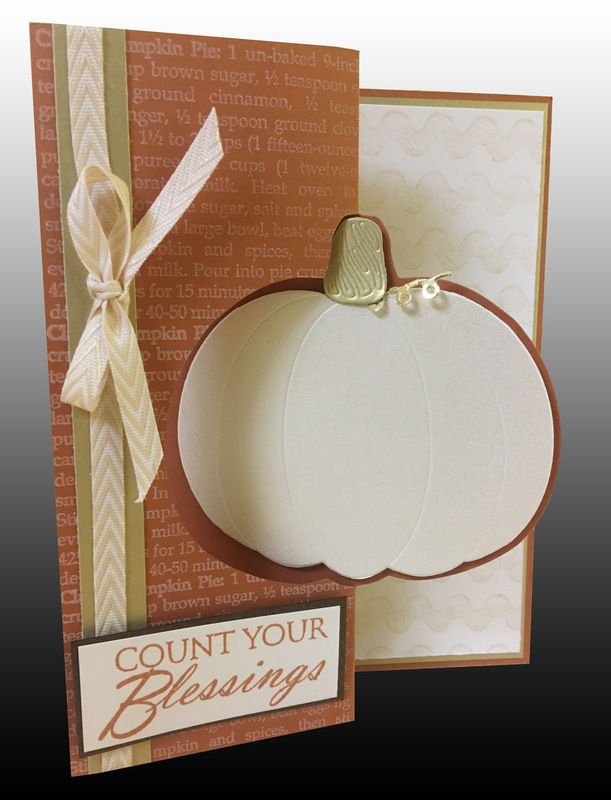 We have the coordinating Pumpkin Layering Die Set so you are able to cut a pumpkin to layer on the card. 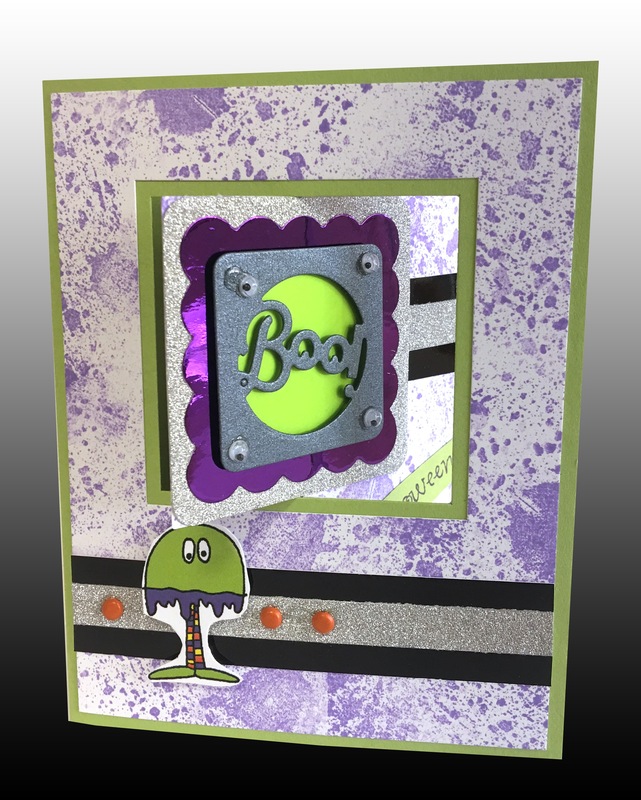 This spooky little Halloween card was Die cut using our Triple Square Mini Window Die Set. This set cuts both the card (Black) and the overlay (Grape Jelly). 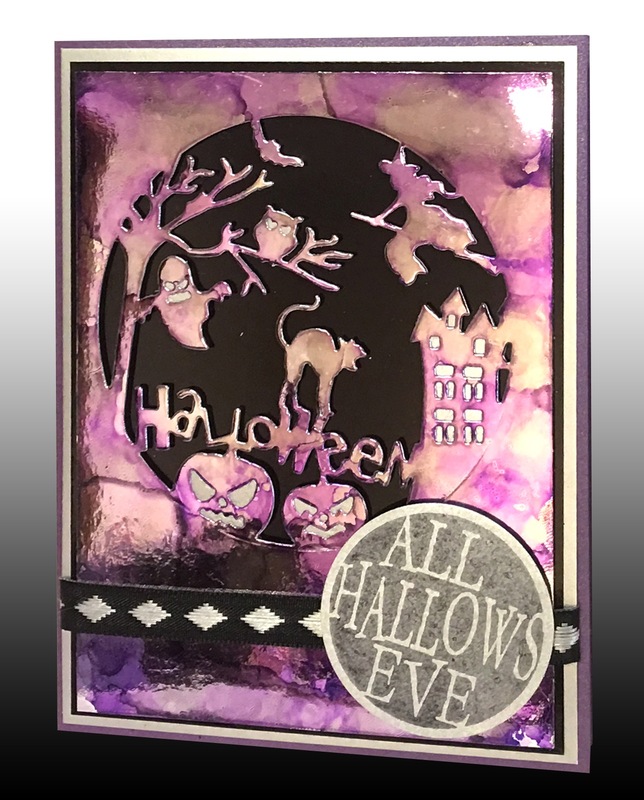 The overlay was then stamped with the new Impression Obsession Webs Cover-a-Card stamp. Check out this cute Halloween Lever Card. The Lever Card Kit is one of our new pre die-cut card kits. The kit includes an A2 Square Window card, a Window Overlay and a specially die-cut Lever Card Insert.